If I try to copy a normal 6 digits RGB hex number on there, it transforms it to a different code and colour. This is most likely down to you using 16bit colour deph. 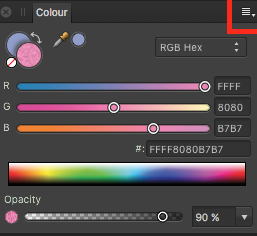 Clicking the highlighted button in my screenshot below will bring up a menu which will allow you to change the colour deph back to 8bit! Thank you Callum, it totally worked!